How to Arrange for Repayment of Tax Debt? In this current bad and looming economy businesses tend to fall behind on various debt.... But mainly finance repayments and Sars tax debt. In this article I will focus on SARS debt and how to go about it in handling the situation. Firstly ... do not be ashamed about it. It happens frequently that a taxpayers will fall behind. One bad month of bad cash inflow and you might have a situation on hand. What do you need to do when you fall behind on your tax payments? It is very important to start arranging repayment terms with SARS. 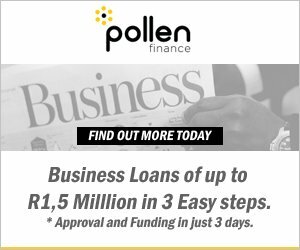 SARS will typically be open to a repayment arrangement of up to 6 months, depending on the status and cash flow of the business. We would be able to assist you to arrange the above with SARS. 1. For tax debt below R 50,000 you would not need a lot of documentation to provide to SARS. 3. In the instance that your tax debt has fallen behind in such a way that you will not be able to repay it, you can apply for a compromise or settlement application. This is an intense application with numerous documentation and information that need to be provided to SARS. Read more about the application in this article. Contact us here for a consultation or assistance.